1.Follow Up to Yesterday’s Sector Performance Chart….Momentum Outperforms on Pullback. MTUM Momentum ETF-Prior to yesterday’s rally, during the market’s 11% pullback MTUM went down less than S&P…Signaling no shift to defensive sectors. 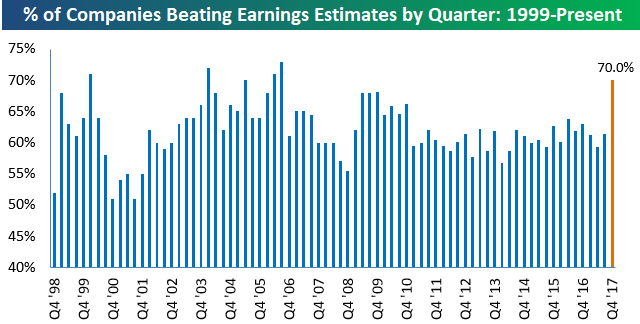 2.Problem for Bears…Companies are Beating Earnings Estimates at the Strongest Pace in a Decade. The S&P 500 just experienced its first 10%+ correction in two years right in the middle of earnings season. So how do beat rates look this earnings season? Excellent. Even with analysts hiking their Q4 EPS estimates at the fastest rate in a decade coming into earnings season, companies have had no problem beating those estimates. Thus far, with more than 1,000 companies having reported, 70% have beaten consensus analyst EPS estimates. The 70% beat rate puts this quarter on track for the strongest bottom-line beat rate in more than ten years. And while bottom-line numbers have been really impressive, top-line revenue beat rates have been even stronger this season. 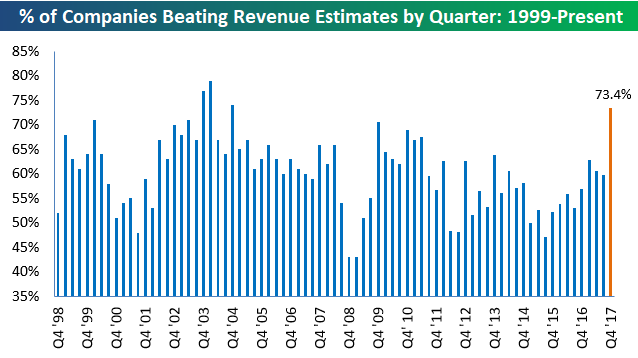 As shown below, 73.4% of companies that have reported have beaten consensus analyst revenue estimates. That’s tracking to be the strongest top-line beat rate since Q3 2004! Again, these beat rates would be impressive in any quarter, but what makes them really stand out is that analysts were hiking estimates coming into this season, and companies have still managed to beat estimates at a very high clip. So far, analysts have not hiked estimates enough! 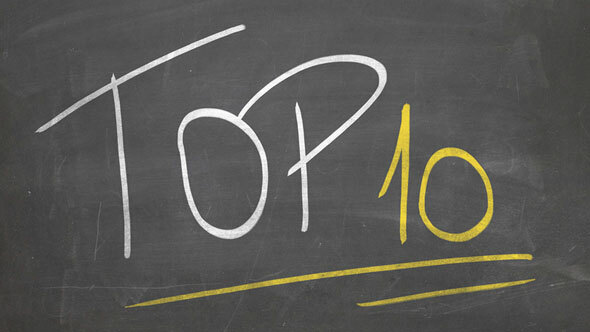 The average number of -10% drawdowns per decade is 9.6. Since 2010 we have had instances. Since 1990, the S&P 500 is up an average of 16.85% six months after a 10% correction. 12 months after the correction, the S&P 500 is up an average of 20.49%. 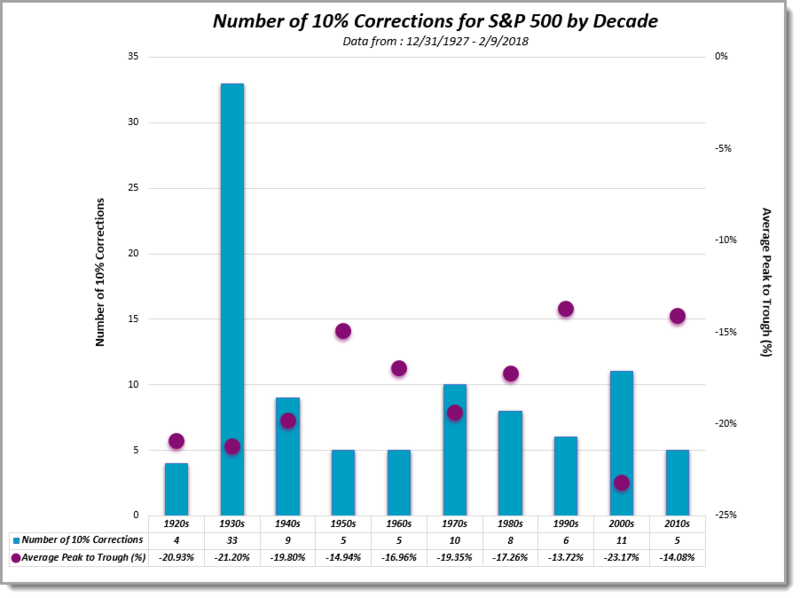 The two major blemishes, however, were in 2001 and 2008 when the market produced negative returns a year after finding a “trough” during a 10% correction. 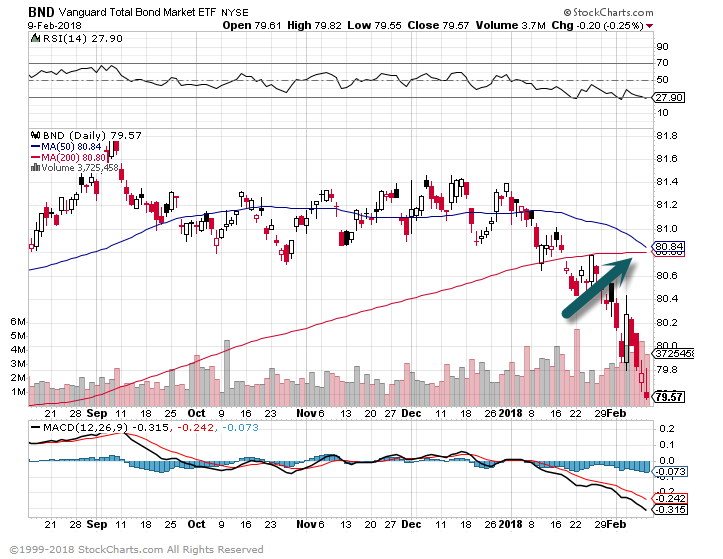 4.For Technical Traders…Watching Big Bond Holders. 5.Commodities Move in Long Cycles. Maxwell Gold is director of investment strategy and research at ETF Securities, an issuer focused on commodity and currency exchange-traded funds. 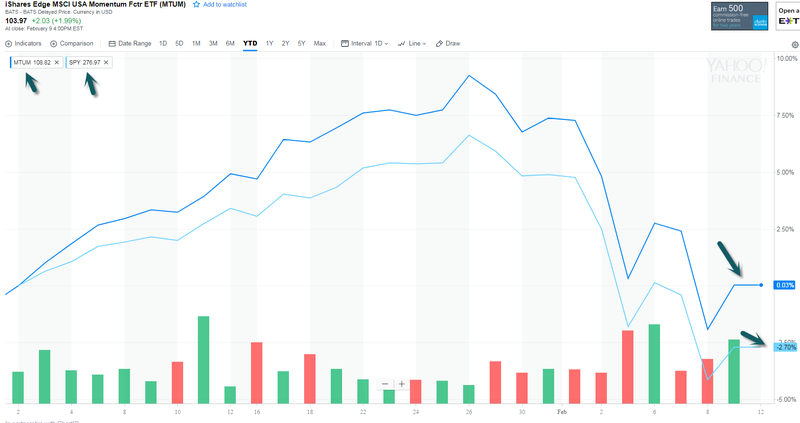 ETF.com recently spoke with Gold to discuss the latest outlook for commodities, including his view that the asset class may be on the cusp of another supercycle. ETF.com: You’ve mentioned we could be at the beginning of a commodities supercycle. Would you elaborate? 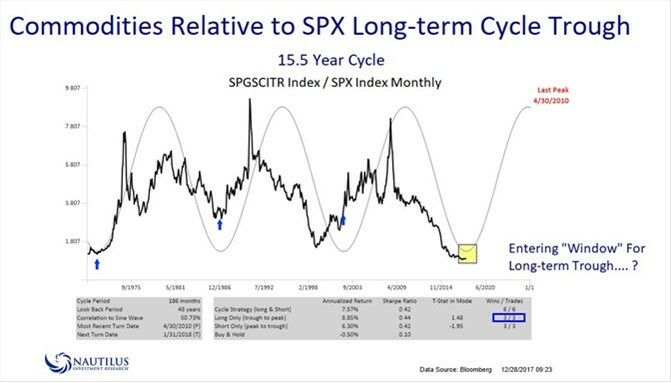 Maxwell Gold: The commodity market tends to move in much longer periods than a traditional business or market cycle that stocks typically move in, or even a typical economic cycle, which historically has been about five to seven years. Commodity cycles are usually about 10 to 15 years long. We had a sell-off and an oversupply of commodities for the past several years. The turning point was 2016. Since then, we’ve been seeing a drawdown of the supply glut, as well as a reduction of output due to reduced capital investment and more supply discipline from a lot of producers, especially in the energy and mining sectors. ETF.com: How long will this supercycle last, and how much can commodities rally from here? Gold: It depends on a lot of factors that we just don’t know right now. The important takeaway is that we’re at the very early stage of this. Certainly, there’s more rebalancing needed in terms of drawing down on existing supply. But we’re beginning to move back into balance in certain commodities and the fundamentals are becoming much more attractive. Over the next couple of years, commodities will be an area where we’ll begin to see a lot of improvement fundamentally, including a better macroeconomic backdrop with rising growth and rising inflation. From an investment standpoint, investors will begin to look towards the asset class more favorably. They’ve been absent for the past few years, ever since that large drawdown in 2013/2014. ETF.com: When a lot of investors see the economy doing well, they tend to gravitate toward equities. But you’ve mentioned commodities could do even better than stocks at this point in the cycle. Why is that? Gold: We typically see commodities outperform stocks and other risk assets in the late stages of a business cycle. Right when we’re beginning to see capacity overshoot and we hit a slowdown in equity markets, commodities perform better. The Fed and other central banks want to increase interest rates to slow down and control economic growth to prevent the economy from overheating too much. That typically goes hand in hand with a period where there’s increased demand for inputs, raw materials and resources―primarily commodities. It’s very typical to see commodity prices increase when we’re in a rate-hiking cycle and interest rates are rising. 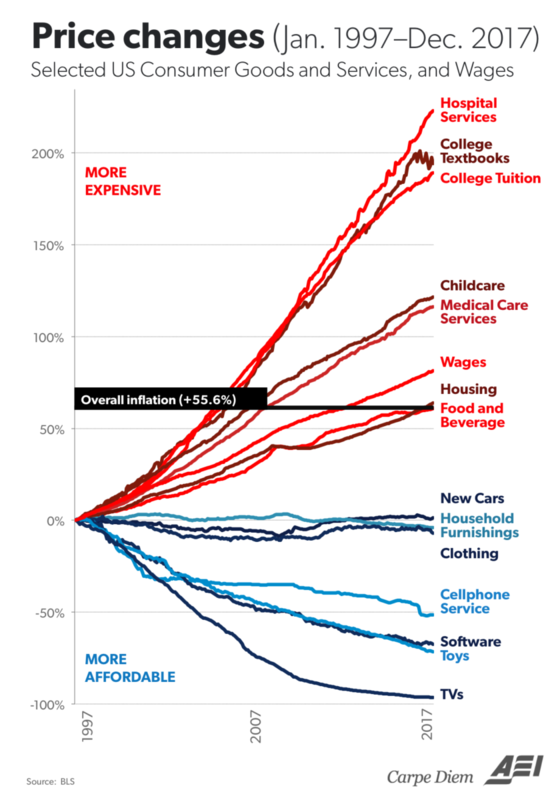 6.Inflation in One Chart…Wages Not a Threat Yet. Apple is one of the biggest watchmakers in the world. Based on newly available statistics, it now seems certain that Apple outsold the entire Swiss watch industry combined last quarter. The company best known for making iPhones outsold Rolex, Omega, and even Swatch last quarter, combined. 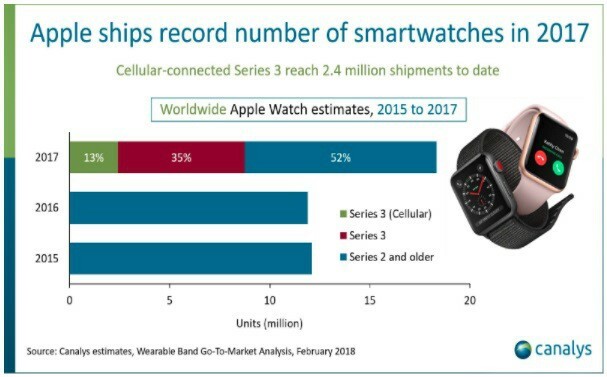 That’s according to Apple Watch sales estimates from industry researcher Canalys and IDC, and publicly released shipment statistics from the Federation of the Swiss Watch Industry. Canalys estimates that Apple sold 8 million Apple Watches in the last quarter of 2017. Apple’s been making watches for four years. Switzerland has been making timepieces for centuries. In some ways, the comparison with the entire Swiss watch industry is a testament to Apple’s scale. Some Swiss watches are meant to be luxury pieces, like Rolex watches, which cost tens of thousands of dollars. But other Swiss watchmakers are mass market, like Swatch, with watches that are priced in the same range as the least expensive Apple Watch, at about $180. 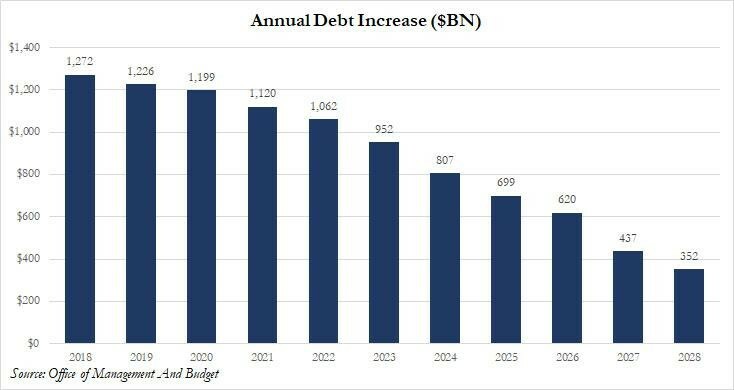 8.Debt to Increase $10 Trillion by 2028. 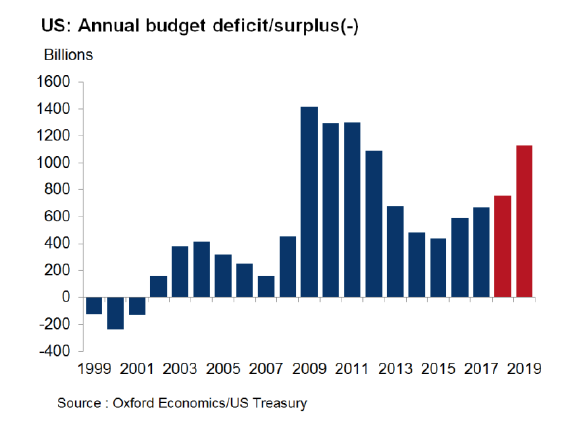 So here, courtesy of of Oxford Economics, is just one chart that shows what is really taking place: starting next fiscal year, the US is unleashing nothing short of “crisis level” spending, with the US deficit in 2019 set to top $1 trillion for the first time since 2012, and approaching the record deficit hit in 2009, when the US was hit by the worst economic crisis since the Great Depression. But wait, there’s more: it will only get worse from there. 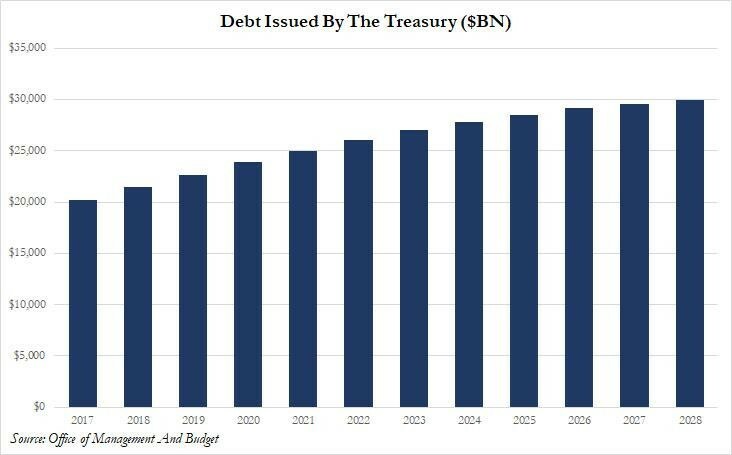 … as a result of $1+ trillion debt (and thus deficit) increases for at least the next 5 years. 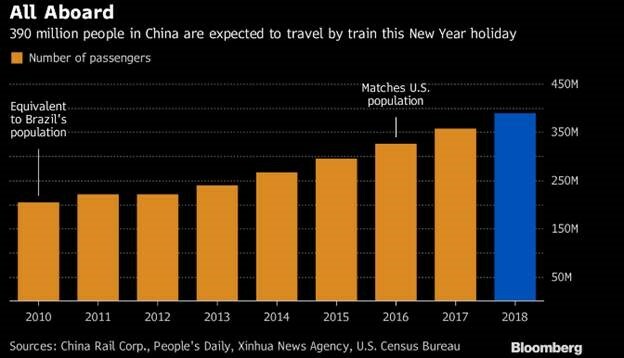 9.390M People will Travel by Train in China 2018. But that’s not where the story of Stoicism ends. Centuries later, the philosophy remains as relevant — if not more so — in modern society. These stoic practices will help bring calm to the chaos we face today. One of Epictetus’ biggest frustrations as a teacher was how his students claimed to be want to be taught, but secretly believed that they knew everything.